From DreamWorks Animation comes the highly anticipated HOW TO TRAIN YOUR DRAGON: THE HIDDEN WORLD. What began as an unlikely friendship between an adolescent Viking and a fearsome Night Fury dragon has become an epic trilogy spanning their lives. In this next chapter, Hiccup and Toothless will finally discover their true destinies: the village chief as ruler of Berk alongside Astrid, and the dragon as leader of his own kind. As both ascend, the darkest threat they’ve yet faced—as well as the appearance of a female Night Fury—will test the bonds of their relationship like never before. The third in this dreamworks franchise is decent…but only just. 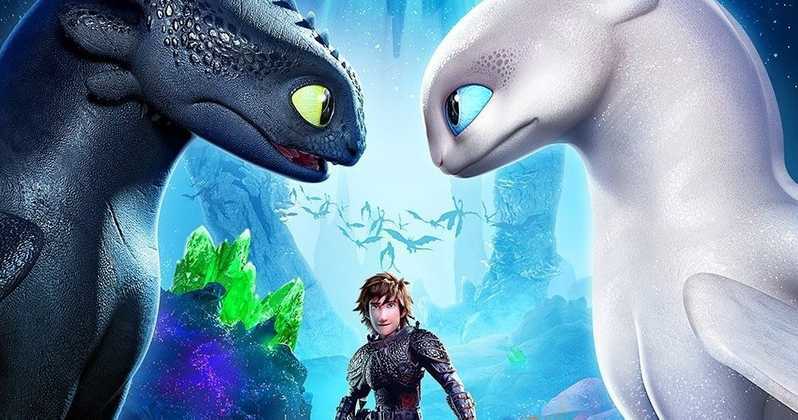 The plot this time isn’t just about Hiccup but more about his dragon Toothless whose longing for a mate is triggered when he meets another night fury. Somehow dreamworks have managed to make another good movie from this franchise by finding a new fresh direction to the franchise. How To Train Your Dragon managed to sneak in some moral lessons about selflessness and respect for others and the kids appreciated this. Talking about kids, Ellie and Xavier did a video review of the film on Instagram and you can watch it by clicking here. That said, I think this franchise should be put to bed because there isn’t anything more that can be told in this story. The plot though fresh wasn’t that engaging because it felt like an afterthought. How To Train Your Dragon is a good film for the kids and kids at heart and recommend it for some good family time out. Afterwards, make sure you let me know what you think of How To Train Your Dragon in the comment section below or on Twitter and Facebook.